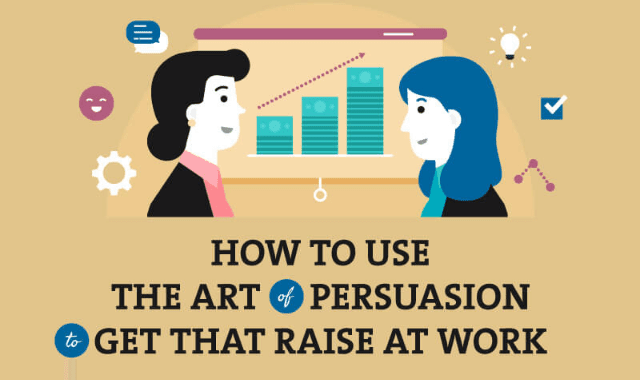 How to Use the Art of Persuasion to Get That Raise at Work #Infographic ~ Visualistan '+g+"
You put in the hours, took on extra responsibility and hit your targets. Now, a raise is within your reach. Use tried and true techniques based on principles from Robert Cialdini, the godfather of influence, to turn a "let me think about it" into a "yes" from your boss. Have a look!